The services will start in December this year subject to getting slots at the Delhi airport. 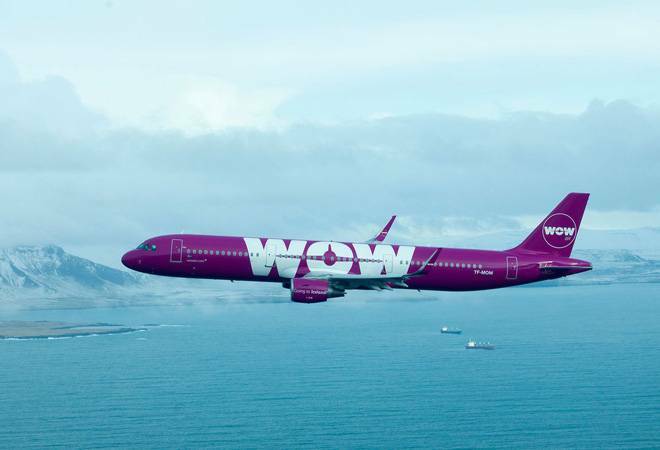 WOW is already negotiating with GMR to get five slots per week, preferably departure slots at around 6am, for its wide-body Airbus A330neos. Serial entrepreneur Skuli Mogensen founded WOW air in 2012, four years after selling his last venture - Oz Communications - in the mobile software space to Nokia. Mogensen says that he was almost in the retirement mode when he decided to start an airline in his native country Iceland. In a span of six years, WOW air has reached a scale where it's almost neck-and-neck with legacy carrier Icelandair, an airline started in 1937. "We will overtake them by next year in market share," he says. After disrupting the aviation market in Iceland, Mogensen is bringing his low-cost carrier to India - New Delhi to begin with - and offering one-way fares as low as Rs 13,499. The introductory fares would connect passengers from New Delhi to any of the 15 North American cities - New York, Los Angeles, Boston, Chicago, and Toronto - and London that are part of $484-million WOW's current network. There will be a stopover in Reykjavik (Iceland). The services will start in December this year subject to getting slots at the Delhi airport. WOW is already negotiating with GMR to get five slots per week, preferably departure slots at around 6am, for its wide-body Airbus A330neos. "We are going ahead with the sales with the assumption that we will get the slots that we have requested." About 20,000 people fly between India and North America every day. "We will be the first long-haul low-cost airline to fly into India. It's a huge market with a huge potential. I think India is underserved when you look at flights between India and North America. We are exploring possibilities to open stations in more Indian cities. Our target customers are smart travellers - people who are value conscious," says Mogensen. WOW would offer four products; the basic product doesn't include check-in baggage and meals. It flies to 35 European and North American destinations, and it would be competing with aggressive Middle-eastern hubs like Dubai and Abu Dhabi which are catering to a large international traffic originating from India. "We will offer a shorter total trip time than if you go to Dubai. Shorter flight time means less engine usage, less costs that translates into less ticket price. In our case, it takes 18 hours to reach East Coast (in the US) from India, including a two-hour layover in Iceland," he says. With crude oil prices rising, Mogensen says that he's not that worried unless the prices go beyond $100 a barrel. "Oil is last century's commodity. We will be operating A330neos which are 15 per cent fuel efficient [than the old engine] and will help in keeping costs under control. The other reason we can offer low fares is that we offer more services beyond selling seats. When someone comes to Iceland, we can offer best prices on hotels, car rentals, and restaurants. We will extract revenues from other sources," he adds.